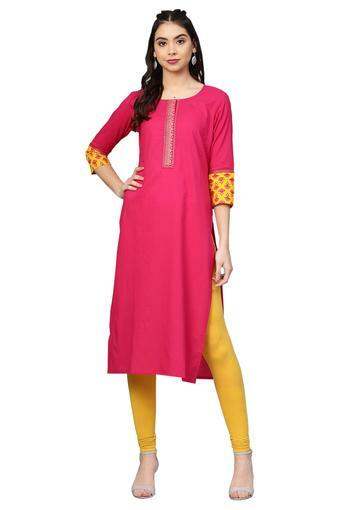 Get your wardrobe overhaul with this kurta presented to you by popular brand Varanga. 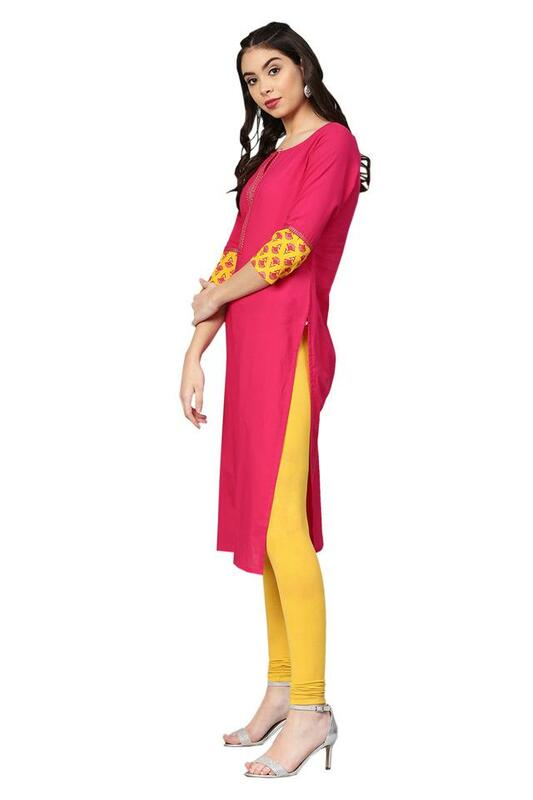 Featuring a print pattern, it looks trendy while the round neck further adds smartness to it. Besides, it has been made of fine quality fabric to make you feel comfy all through the day. 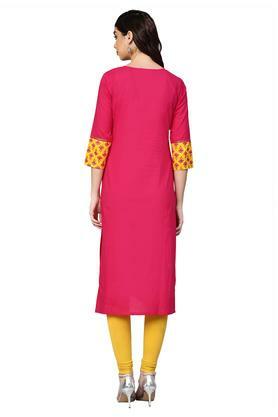 With a print pattern, this kurta will look great with a pair of leggings in a contrasting shade. You can wear it to any casual occasion to flaunt your style with confidence.